Eating healthy is often associated with being expensive, so I love finding ways to reduce our monthly spending whenever possible. I’ve been reading an awesome financial book lately, and I’m happy to report that many of the author’s money-saving suggestions happen to be Eco-friendly, too! Since April has been designated as “Earth Month,” it seems appropriate to discuss some easy ways to save money while saving the planet at the same time. Tip #1: Skip paper towels. Use reusable cloths, instead. Not only you will reduce waste and the demand for paper products, you’ll also save money by re-using the same cloths for years! Tip #2: Ditch plastic straws. Use glass straws, instead! I prefer to avoid plastic products as much as possible, so these glass straws are the perfect way drink your green smoothies, juices and shakes. I’ve owned the same set of glass straws for over 3 years, and I love how they are dishwasher-safe and practically indestructible. (If they do break, they come with a lifetime warranty!) For some reason, everything seems to taste better out of a glass straw, too. Once you try these, you’ll never want to use disposable straws again. Tip #3: Make your own household cleaner. A homemade mixture of white vinegar and tea tree oil is just as effective as any brand-name cleaning products, but at a fraction of the cost. Tip #4: Skip bottled water. By not purchasing pricey bottled water, you’ll not only save money, but you’ll also reduce environmental waste and avoid consuming any potentially harmful chemicals, like BPA. Instead, use a water filter on faucet and bring your filtered water with you everywhere in a reusable glass bottle! 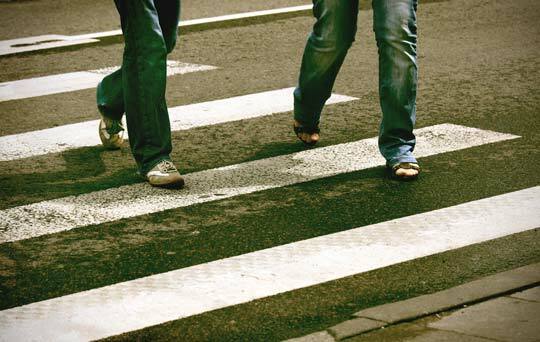 Tip #5: Walk or ride your bike to work. If you can walk or ride your bike to work, or even just walk to the grocery store, you’ll save money by filling up your gas tank less often and will help reduce environmental pollution. You’ll also get a fantastic workout! I hope you’re inspired to help the environment and save money all at the same time, with some of these ideas! Reader Feedback: Any other money-saving tips to share? To all of you looking for fluoride free water I recommend EWS water filters. I bought mine from – water on the web.com If your budget is tight, or you rent and can’t install a full house filtration system buy the faucet filters so you have pure drinking water. These filters are the best around. Hi, great post- thanks for sharing. Here are some of my money saving tips which also happen to be green; when it’s really hot out use the ‘drip dry’ setting on the washing machine, buy containers to store leftovers/ half avovadoes/to cover food- use a specific one for a half onion- no plastic wrap bought for over a year here, don’t rely on single use products, find a way to do the same job in a reusable manner- usually more expensive and have high carbon usage needed to produce it, stat darning socks and/or clothing when there’s a tiny hole in it- lasts heaps longer! Supermarket shop at early opening or late closing times to get the reduced/clearance items, when using the oven try to cook multiple dishes and then freeze for later- good gas saving, buy a timer for the shower and keep it at 4 mins- totally possible to do shampoo, conditioner, soap and shave! But foods in their whole state if possible- grind/ crush/ chop/ portion out at home for added savings, use vinegar and bi carb to clean the toilet- no toilet cleaner bought for over two years and my bathroom is clean! and smells fine:) With the reusable cloths mentioned at the start of this post- every few months wash them in a HOT wash to remove residual dirt ( I use mine for cleaning and some specific ones are used for my OCM). Boil wooden spoons every 6 months to remove built up food residues- cheaper than buying new, lastly- multi use products if you can- hand soap and hair soap are pretty much the same thing, use lunchboxes for lunch as well as long term storage in the fridge/ cupboard, use vinegar for salads as well as cleaning, use microfibre cloths as a cleaner and a face/ hand wipe etc. Love you ideas! Thank you for sharing! 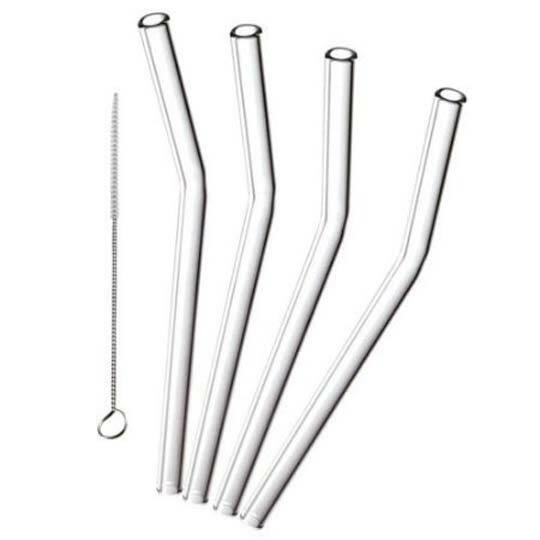 Here is a link to save on glass drinking straws. Each Purchase SAVES YOU money and automatically donates to a 501 (c)(3) Non-Profit. Now that is caring for our earth! The Andrew James Cherpak III Memorial Foundation, Inc. has partnered with Glass Dharma to bring you Eco-friendly, healthy glass drinking straws that will bring health to you, the planet, and our foundation! Andrew always protected our environment, so we encourage you to reinvigorate his vision of health, happiness, and sustainability by replacing all of your plastic chemical-leaching straws with beautifully designed, lifetime guaranteed, safe (and fun) drinking straws. They are available in all different sizes and styles to accommodate your preferences, and can be customized to fit your favorite cup! Kids and adults find them purposeful and fun for daily and special occasion uses. These glass straws make amazing party favors,as they can even be etched with customized names, dates, etc. Be inspired by creativity, uniqueness, charity, and responsibility! With each purchase, you receive a 10% discount and our foundation receives a 30% donation of the product total! 4. Use Coupon CODE: AJC3 and complete Checkout! *This coupon Code does not expire, so shop away and do good for all. Reading this blog post made me happy. I try to do little things that reduce waste. I bike to work/school every day, I drive a Hybrid, I use my Brita water filter and try to avoid using bottled water or getting cups when I go eat out, I typically pack my own lunch, reuse plastic silverware and try to recycle when I can. One thing I do that I know is kind of weird is to take the paper that I dry my hand with at public restrooms and keep it. It will dry and I can reuse it to cean later. My belief is that the paper was only soiled with water, which dries off, so the paper is still completely usable and not dirty. I only use environmentally friendly dishwasher soap and laundry soap, but I use a lot less of it per cycle than the package recommends (Maybe a third of the recommendation) and everything still turns out very clean! I save money that way. I like AbiKale’s idea of using white vinegar in the dishwasher too! I’m going to try that. Awesome tips thank you. I ditched plastic straws and purchased glass ones also and just love them. I started making some natural skin care products such as facial cream and hand moisturizers which does help me save quite a bit of money. I love reading your blog and I’ve been following the same kind of “cheaper/greener” lifestyle as well, trying to steer clear of harmful toxins. The glass straw tip is great as well. Thanks for such a great blog. I stopped buying Swiffer Wet Wipes. 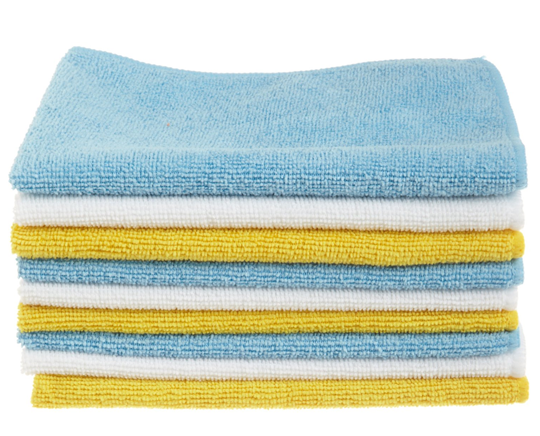 I just soak an old hand towel in white vinegar and water (I add lemon juice) and attach it to the Swiffer mop. It’s perfect for smaller floors like bathrooms and the pantry! For large floor areas I attach a dry cloth to the mop and spray cleaner directly on the floor then “wipe” it up with the dry cloth on the Swiffer mop. I also use pure white vinegar in my diswasher instead of buying Jet Blue. It gets those glasses shining! I love your tips. You always have such do-able and easy to read posts. Thanks for everything you do! And Thieves is a staple in my home and office!! I must admit it’s hard for me to not buy bottled water, I get so grossed out by tap/filtered for some reason at least in Canada we don’t have the floride though. any tips on drinking flouride free water? I live in San Diego and am giving baby pure water but not myself. 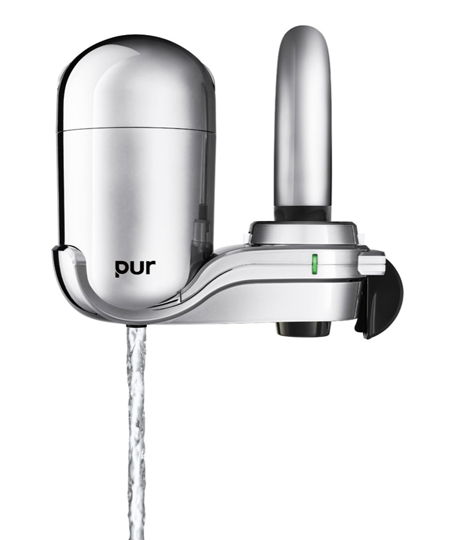 I really want to have flouride free water but not with expensive purifiers. I was going to ask the same question about fluoride. 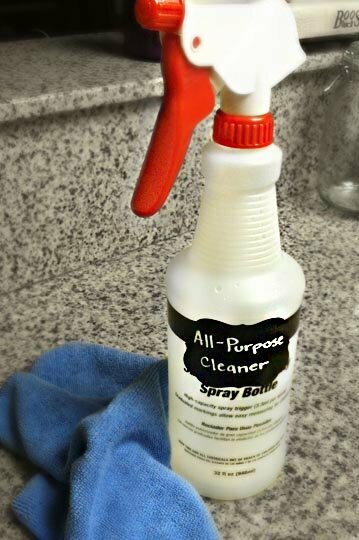 I love your tips and have been using the homemade cleaner. I also started using your homemade deodorant and it really works much better than the store-bought! Thank you. There are some filters out there that will remove the fluoride. The one I purchased awhile back is a Berkey. I’ve heard good and bad reviews about this system, but so far I haven’t had any trouble. There is another one called an Aqua Rain or something like that. You could try to Google it. Hey, I suggest a Berkey. You do have to buy the floride filters as an add-on. But I feel it’s worth it. We have had ours for several months now and it has been great! My coffee tastes better too!